If you could only choose three words to define your brand, what would they be? Colorful, bright, travel? Minimalist, nature, beauty? Whatever they are, the key to a better Instagram feed is to understand your brand and have those words reflected throughout your feed. Now that you understand your brand, start creating a theme which will represent everything that you brand stands for. 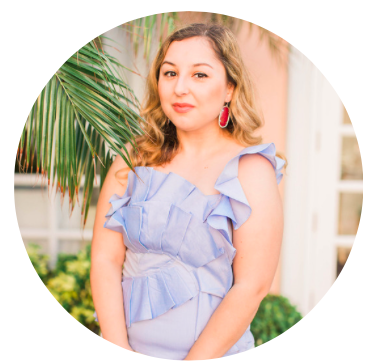 For example, my brand is all about being feminine so you'll see a lot of flowers, clothes, jewelry, quotes with a pink background, and beauty items. I rarely post photos of anything else because it wouldn't fit my theme and it would get users that are new to my Instagram and blog confused which results in people unfollowing me. This was one of the main reasons why I couldn't create a cohesive theme in my past attempts until I finally decided to just make my theme as simple as possible. So what did I do? I chose one color that would show up in the background of all my photos which is white. White is a great color for beginners because you can find white backgrounds anywhere! By having the same color in the background of all your photos, it creates a more cohesive theme. Just remember that the more colors you use, the more complicated it gets so I would recommend sticking to three colors or less. A popular and quick way to create a more cohesive theme is to choose one filter and always use that same one in all of your pictures. I rarely use a filter at it's full intensity because it comes across as being too harsh so make sure to tone the filter down. If you decide not to use a filter but still want to edit your photos (exposure, contrast, sharpen, etc.) then make sure to use the same "intensity" in each of your photos. It wouldn't make sense to edit certain photos with more exposure than others, am I right? 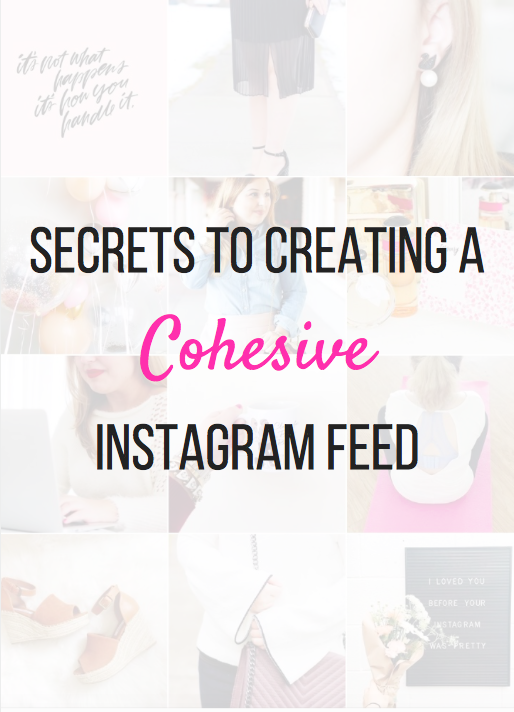 The trick to creating a cohesive feed is to look at your feed as a whole and making sure that each photo that you upload enhances your feed. In order to do this, I recommend apps like UNUM which allows you to plan your feed by adding, subtracting, and moving around your photos so you can see what your feed will look like before you actually upload a new photo to Instagram. Make sure that every photo that you put up is different from the ones next to it. What do I mean by this? For example if you're going to be posting a flat-lay photo, make sure you don't post two of them in a row (unless your entire feed is just flat-lays then it would be cohesive). Every photo that you put up should be different from the one before it which results in a more visually-appealing feed. This past year I finally decided to stick with one filter (Gingham) and it's made such a difference! This is an awesome guide! I used to use MyPics for feed planning but I recently switched to UNUM and I'm loving it!